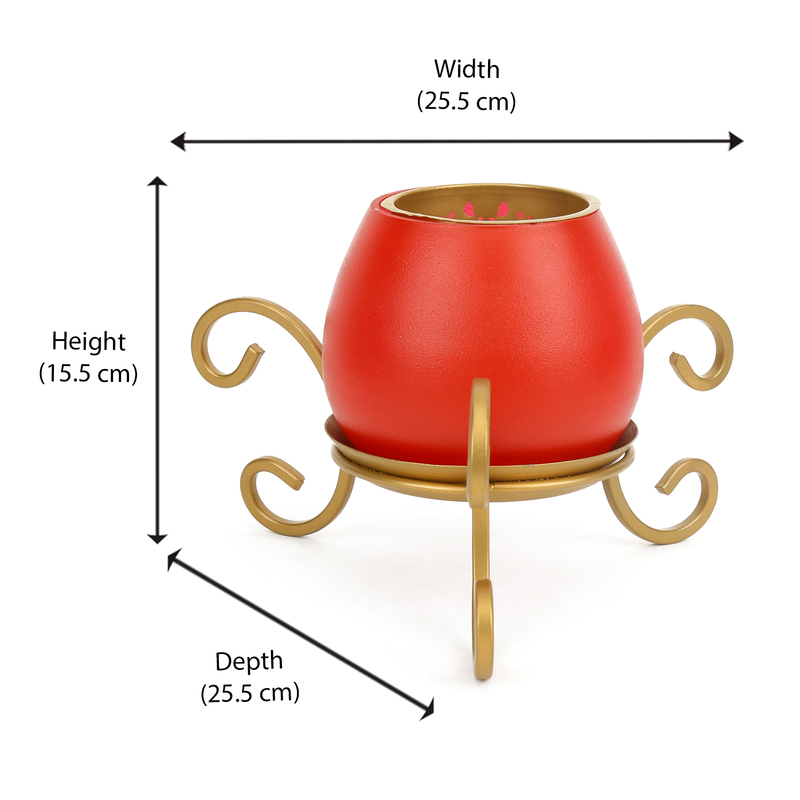 Beautifully designed votives will be an excellent decoration for home. Nilkamal’s Jali Crown Votive prettifies the home. They have a special grace with it and could adorn the surroundings. The votives are made of high quality metal and glass. They are really reliable and long lasting. They can be used in homes, offices, hotels, resorts and restaurants. They would attract the people. The votives can be used for decorating weddings, parties and grand events. It can also be gifted for friends and relatives. They would really enjoy it. These votives are perfect to set candle light dinners. The Jali Crown Votives are luminous and give an elegant look to the ambience. The red colour brings embellishing and graceful feel to the surroundings. @home products are exclusive and come with good quality. To know our other interesting variants, please scroll down to view them.